Prominent & Leading Exporter from Pune, we offer go kart wheels for automobile industry. We are considered as a real part of the main producers, suppliers and exporters of a wide cluster of Go Kart Wheels for Automobile Industry. The offered wheels are utilized by practically all karting clubs and go-kart makers. These wheels are accessible for hustling and rental purposes. 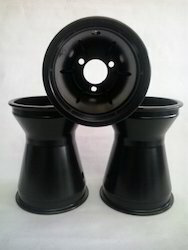 Moreover, we offer these wheels in a range of sizes and measurements at industry driving rates. Looking for Go Kart Wheels for Automobile Industry ?